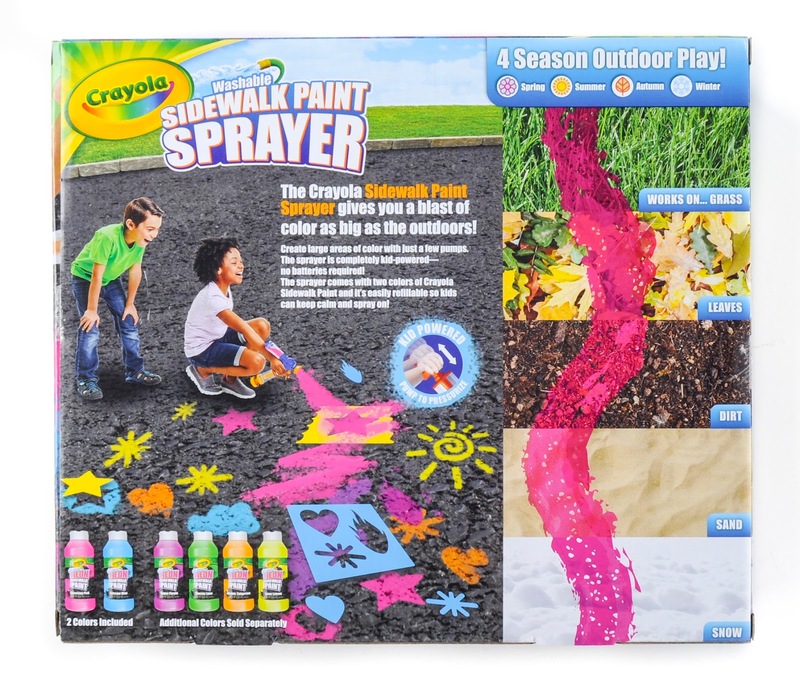 I was really excited to be given the Crayola Sidewalk Paint Sprayer in exchange for an honest review. 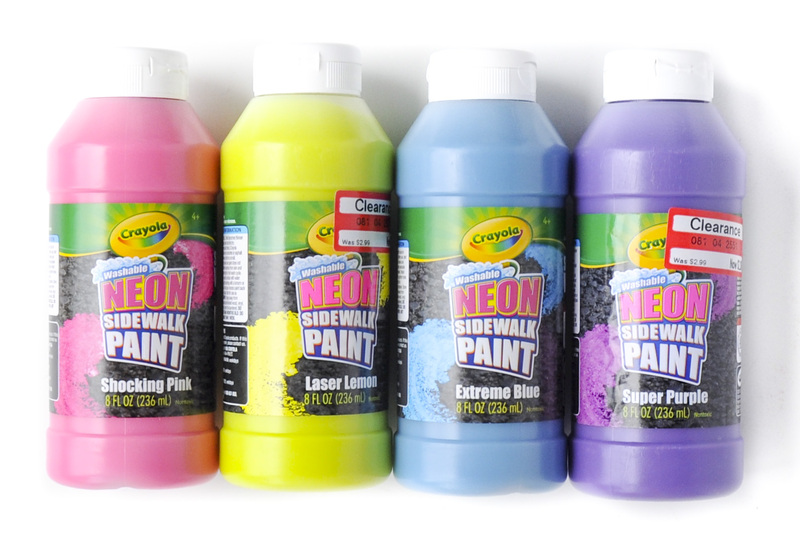 I had already bought two cans of sidewalk paint and and was excited to use it. 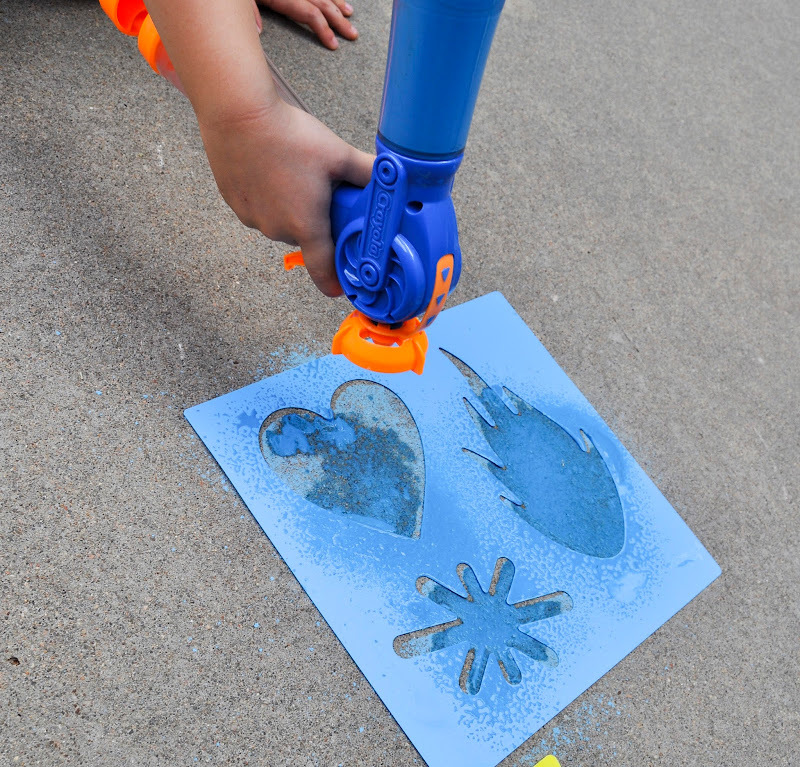 The Crayola paint sprayer comes with 2 full stencils, 4 small stencils, 2 bottles of washable Neon Sidewalk Paint, and a paint sprayer. The sprayer has a removable chamber, the blue one on the top. It unscrews and paint is put in. The sprayer is then hand pumped, 15-20 pumps to get enough air in the chamber. 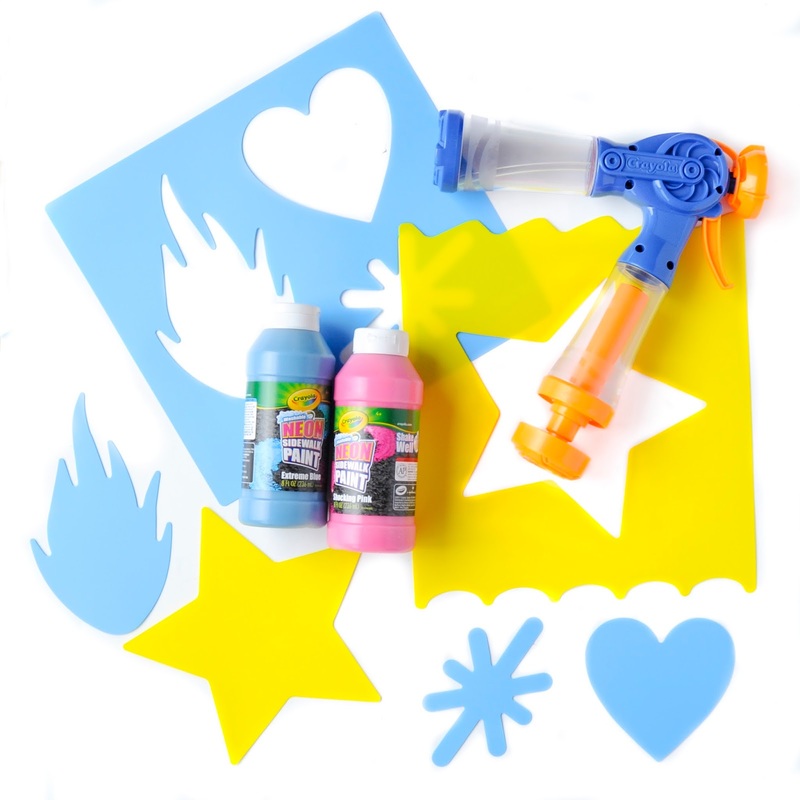 The paint is released by pressing the orange trigger. 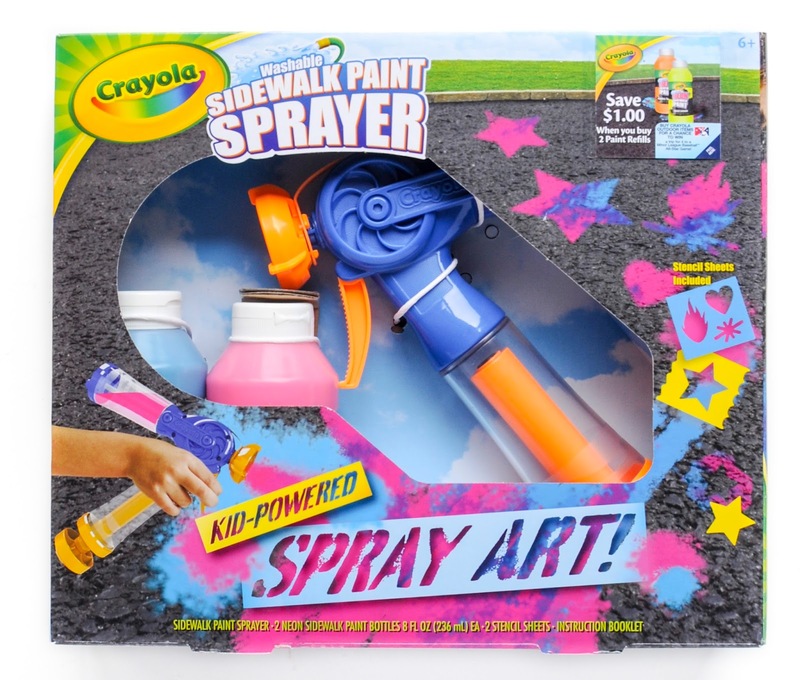 What did I think of the paint and the sprayer? We loved the washable paint! 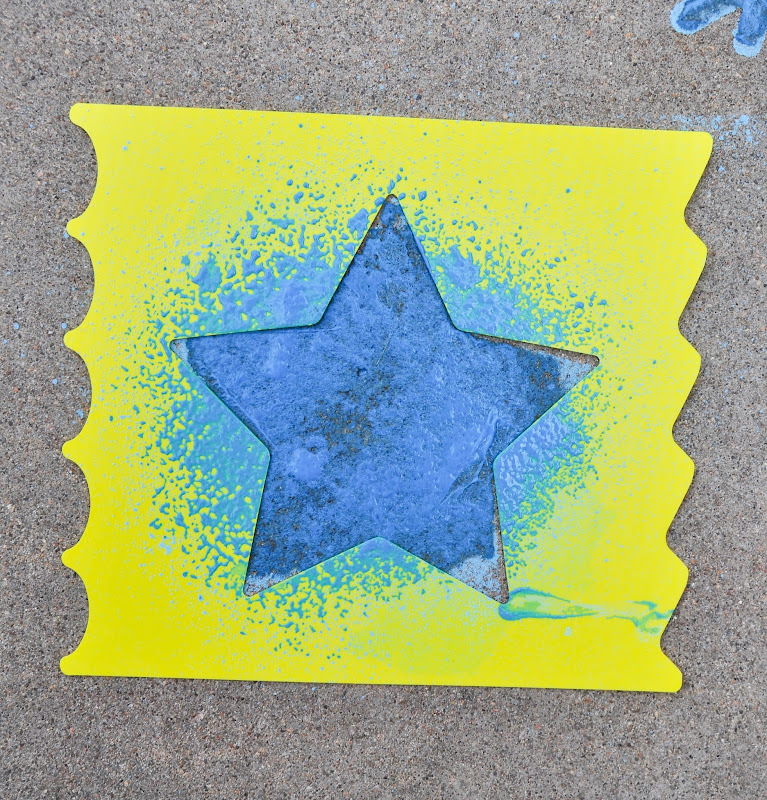 The paint is so much fun to use, it goes on wet and when it dries it turns to a chalk substance. My kids were amazed by this and loved it. 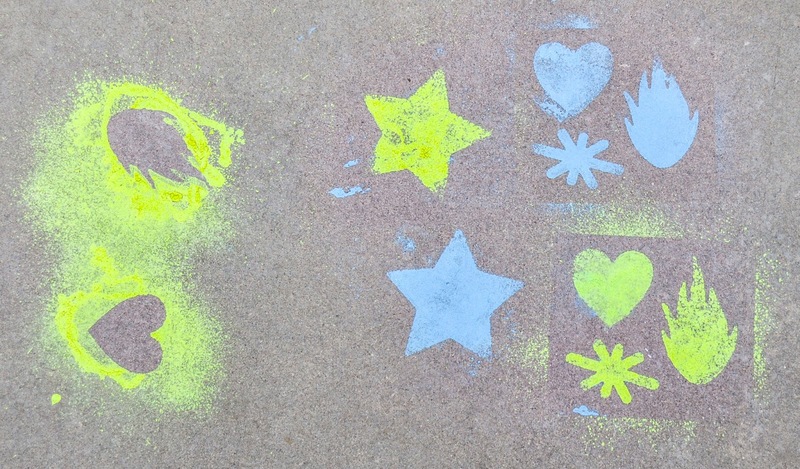 The stencils worked well. 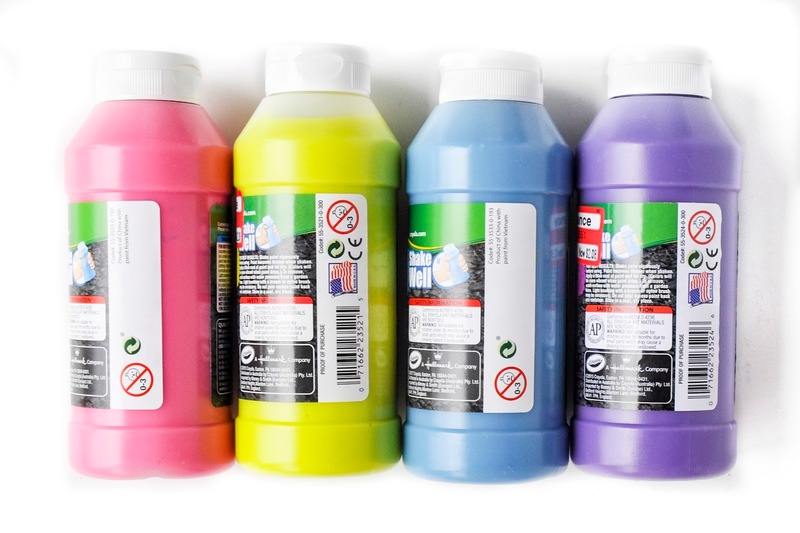 The paint also got on our clothes and bodies. 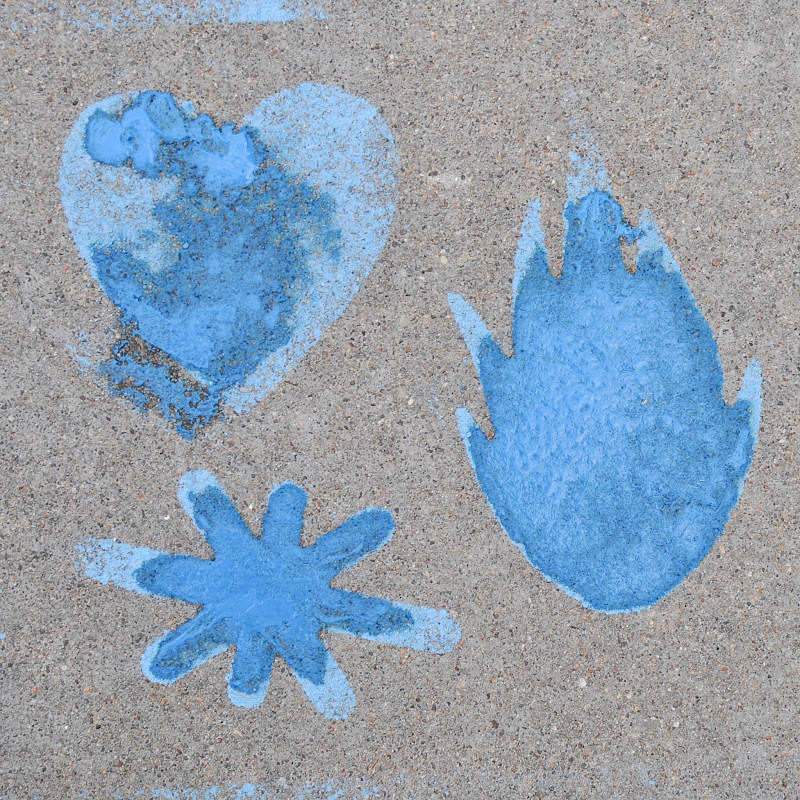 It came off our clothes, hands, and the stencils with little work. 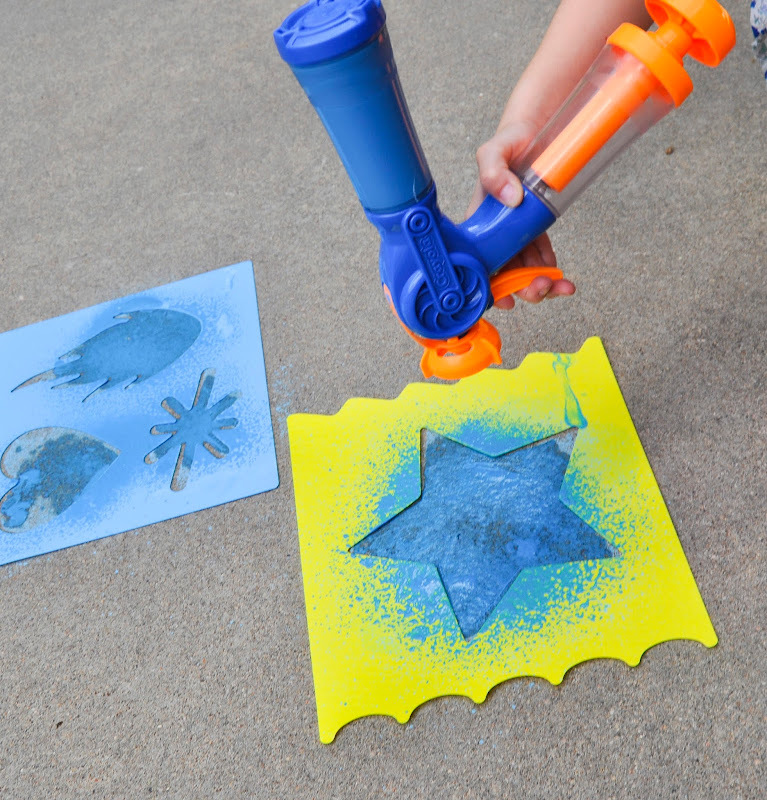 I washed the clothes in hot water and the stencils and my body with the garden hose. 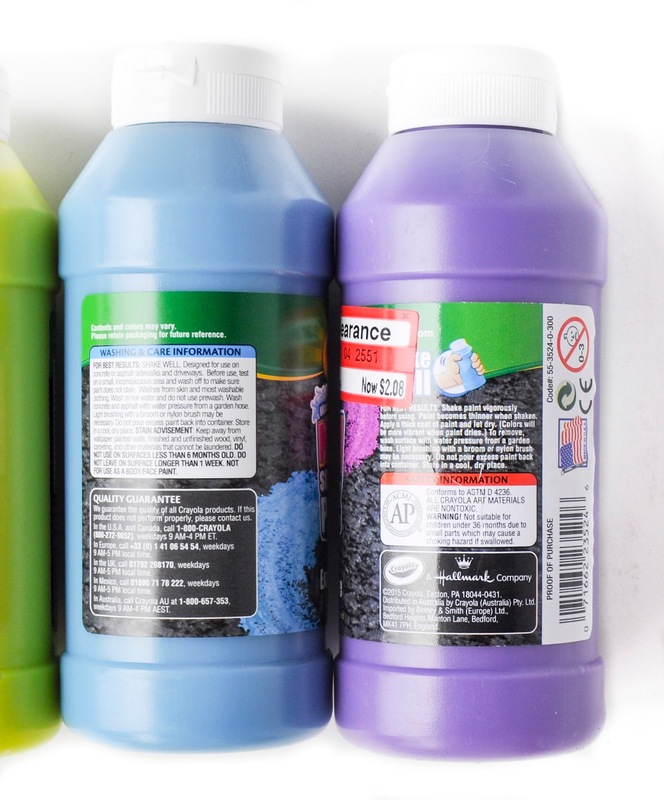 make sure the paint is not clogging the nozzle by shaking the paint vigorously before using, making sure the nozzle is clear of any paint and cleaning well after use.